Hey Guys. Long time no see. I'm going to break the cardinal rule of blogging and not post a picture with this recipe. What?! I know, I know, how will you know what it looks like? How will you know if it's worth making? How will you know if it looks like food? Well, I guess you'll just have to trust me on this one. Also, we have family coming to visit and right now cleaning the house is more important than baking a batch of bran muffins just so I can snap a picture. (Don't tell the blogging world I just said that or they'll kick me out.) Normally I'd just put off posting until I made a batch, but, let's face it, what with being pregnancy sick and all, my good days are totally unpredictable. So there. No picture. But. These muffins are amazing. Like, they kind of look like, ya know, not that delicious, but then they're so delicious that you want to eat like five in a row. Or ten. But don't eat ten all at once or you will be way too regular. Just sayin'. But do make them because they are the best ever. And the healthiest ever. Like, for reals healthy. Like, even vegan healthy if you use the applesauce instead of oil. Don't fret, it's all in the recipe. I even told you which kind of molasses to buy because I'm cool like that. For those that are still reading this and haven't already left to go preheat the oven, this is a recipe that my mom found in the original La Leche League cookbook. She kind of went through a major granola phase when I was a kid and this is from that period of my life. But actually we ate these the whole time I was growing up because they are so good. If you want to not be vegan, you can even slice them in half and put a little butter on them and then you really will eat ten because they are too good not to eat like that. But, ya know, fair warning about eating ten at once. Okay, that's all. Go make some muffins and eat them and be happy. The recipe (and a printable version) is below. Recipe originally from the La Leche League’s original cookbook. Combine the milk and vinegar in a large liquid measuring cup or small mixing bowl, stir, and let sit for 5 minutes. Combine first 5 ingredients in a large mixing bowl (flour-baking soda) and mix well. Add the molasses and oil or applesauce to the milk and vinegar mixture and mix well. Add the wet ingredients all at once to the dry ingredients and mix until combined. Some lumps are okay, but try to make sure there aren’t any big dry spots. Fill greased muffin plans 2/3 full. Bake at 350° for 20-25 min or until cooked all the way through. 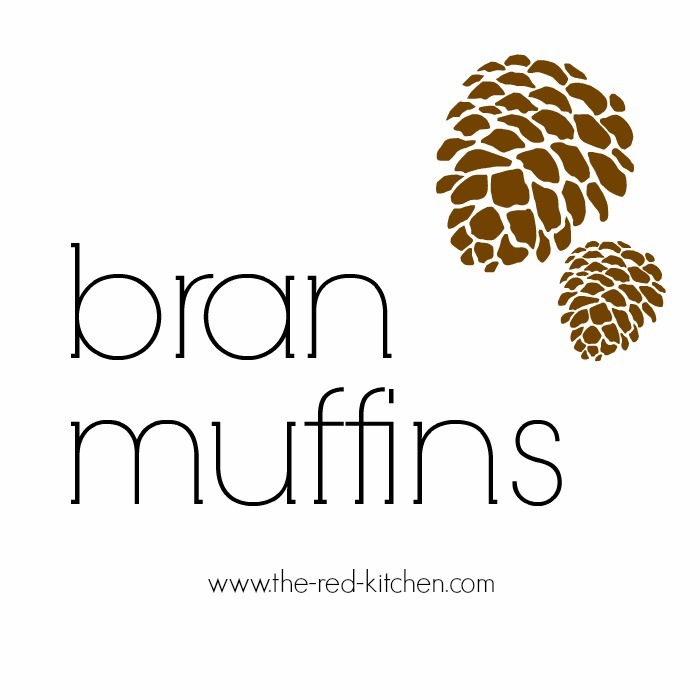 · Bran—Wheat bran and oat bran work equally well. If your store doesn’t sell bran in bulk, look for it in the health food section. Bob’s Red Mill makes both wheat bran and oat bran. · Molasses—Golden molasses works/tastes better than dark molasses. · Milk & Vinegar—If you don’t have milk and vinegar on hand or prefer to use something else, you can substitute the 2 cups milk + 2 TBS vinegar with 1 cup milk + 1 cup yogurt OR 2 cups buttermilk. In theory, anyway. I’ve never tried these options, but according to my mom, they’re legit. Actually, the ORIGINAL recipe called for 2 cups of buttermilk. But I never have buttermilk on hand, so I've always substituted 2 cups of milk + 2 TBS white vinegar. Buttermilk has a little bit of acid in it, which reacts with the baking soda to make the muffins rise. Anyway. Recently I decided to live big and I bought a pint of buttermilk for the recipe. AMAZING! The recipe works well with the milk + vinegar, but it is totally amazing with the buttermilk. Now I try to remember to keep my fridge stocked with a pint of buttermilk just for this wonderful old family favorite...better than ever! Mmm, yes, I love those muffins. So does Reed. I'm assuming the vinegar is to sour the milk, and if that's the case, you could use lemon juice in place of the vinegar as well. Just FYI. I always use lemon juice and milk as a sub for buttermilk. Lemon juice! Genius! Thanks Laura! Sounds yummy! I totally always do the lemon juice trick too. Who ever has buttermilk on hand? I'll have to try these! Enjoy your company! Love ya! These sounds delicious! I sometimes use powdered buttermilk mixed in regular milk. It works ok in a pinch and it's easy to keep around!